Mmm! Straight out of the oven, warm, fluffy, desserts sit on your counter. Their sweet smell reminds you of the hard work and ingredients that went into creating your own sugary treasure! These are your freshly-baked cupcakes just waiting to be frosted, but where did this petite treat come from? The very first “cupcake” ever made was simply cake batter in a cup. Most people liked making it because they didn’t have to make a massive cake if they just wanted a little for themselves, not to mention it only took 20 minutes. The first cupcake recipe was written in 1796 in American Cookery, by Amelia Simmons. Though it was called “a light cake to bake in small cups,” until Eliza Leslie called it a cupcake in her cookbook 32 years later. There are two theories on why the tiny cake is called this, the popular theories are that the original recipe was not made in any teaspoon or tablespoon measurements and only in cup measurements, hence the cupcake or it could be named after the fact they were originally made in cups. These 19th-century- cupcakes were baked in individual pottery cups before muffin tins or ramekins were available. That is how this the sweet delicacy received its delicious name. Cupcakes were also decorated similarly to those today, but a different process. Originally glaze was poured over the cakes before they were done baking to create a hard, glossy outer-layer but now we use piping bags. After the first recipe was fully spread across the United States, many bakers started making it but didn’t sell it till after 1919. The first commercial paper cupcake liners for the US market were produced by a manufacturer motivated by the dwindling military market of the post-war era in the 1950s. The first commercially sold cupcakes were by the brand Hostess in 1919, AKA the company that made Twinkies. You can still find the iconic Hostess Cupcakes in your grocery store today. These cupcakes are a little different than the ones you see at your friend’s birthday parties. The first cupcake Hostess ever produced were simple vanilla with malted milk flavored frosting. Later the brand made an orange flavored cupcake, that, to tiny children at the time, was revolutionary. Nowadays, cupcakes are a million dollar business. People are constantly taking pictures of them on social media. Currently, the richest cupcake company is Gigi’s Cupcakes, which is worth $35 million. You can’t even go a mile without running across another cupcake shop. Wow!, there’s even a one thousand dollar cupcake you can buy in Dubai called “The Golden Phoenix” you can buy at Bloom Bury’s Bakery. They come in all sorts of flavors, from classic chocolate to lemonade! They even come in all sorts of sizes too, with tons of different flavors of filling. Cupcakes are so popular that some bakeries are dedicated to only making cupcakes. 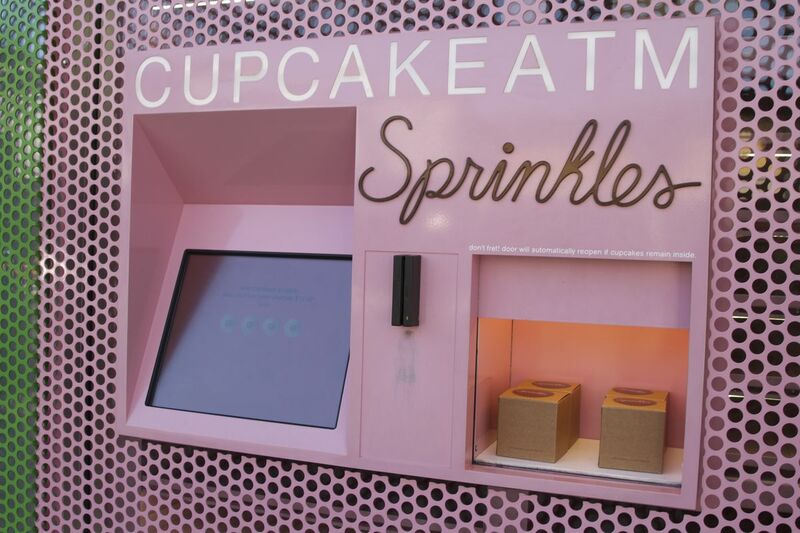 There are even cupcake ATMs all around Beverly Hills. Some cupcakes shops nearby are Susie Cakes, 3 Little Cupcakes Cafe, and a personal favorite, Nothing Bundt Cakes. In conclusion, cupcakes, also known as fairy cakes or patty cakes, has a very interesting history. This dainty desert went from baking in individual pottery cups to muffin tins with six-plus craters. Writing this made us want cupcakes, so I’m sure you want them now too, so go out there and eat this sweet treat with new found facts about its history! Eat to your heart’s content!